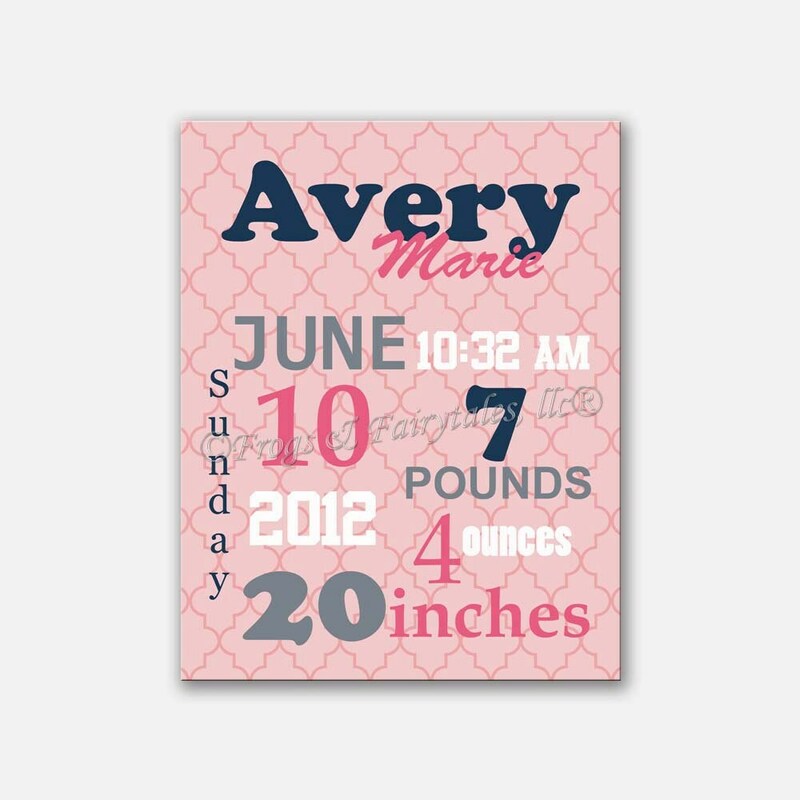 This is a great personalized touch for your baby's room! These make great gifts too! It can be done in any color scheme you'd like. Choose the color scheme seen in the listing, or choose custom colors. If you select custom colors, please leave your color choices in the note to seller section of your invoice. We will send you a proof to approve before we print it. Watermark will not appear on your actual print. This is a gallery wrapped canvas print. It is printed on matte finish canvas, signed, and sealed with a semi-gloss to protect the art from dirt and dust. It can be hung with ribbon or a picture hanger. It is hung with a picture hanger unless noted in the note to seller section that you'd like it hung with ribbon instead.